And yes I was there, wuwu so lucky being an over-privileged and under-deserving blogger. Can’t really blog properly right now because my brain isn’t really functioning after 2 mornings waking up before 8am and the long World Cup stretch…I think I have a massive sleep debt and I feel like fainting now. It’s all good tho..even early in the morning. 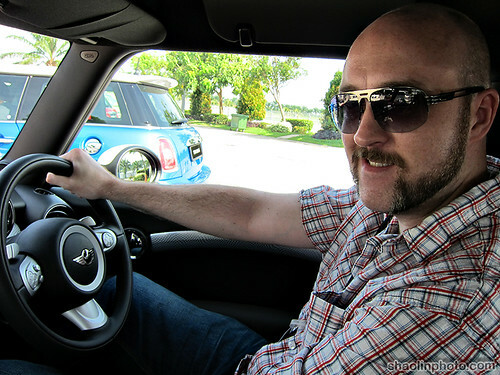 Especially when you are sitting in a 187hp Mini Cooper S and about to undergo a driver training course at Sepang International Circuit. I have been down to SIC for a while, since the Open Track Day in November last year. The weather was hot and sunny, which is superb for this kind of thing. Lovely bright and dry conditions. And of course I passed, won a mug for being one of the fastest in the contest and had an AWESOME time. Here’s me getting my cert from the superbly knowledgeable and extremely entertaining instructors. 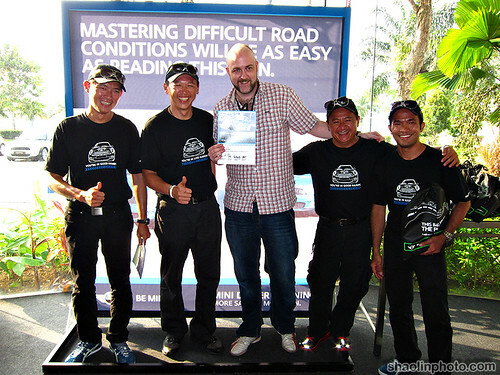 5 Responses to The Inagural Mini Driver Training in Malaysia! Hahahaha….i look like a pygmy standing next to U! now everyone is a better driver than I am (not say I’m good enough though) LOL. 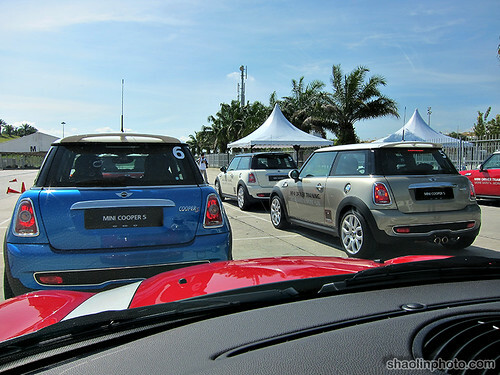 too bad u guys were not allow to race on sepang with the 187bhp little monster. KY: LOL Yah, center of gravity phail. Myhorng: LOL yah wanted to give it a proper beasting on the track!